I’m a pilot. I really, really love flying. I started out in gliders in the mid 1980’s, and I’ve been flying them ever since. There are many stories in there, but this isn’t about them. I bought a Cirrus SR22 GTS Turbo in 2009, and had a ball gaining a PPL(A) and flying that aircraft too. But this isn’t about that aircraft either. Rather, its about an aircraft that has been pretty much #1 on my bucket list of ‘planes I would love to own one day’, for many years now. 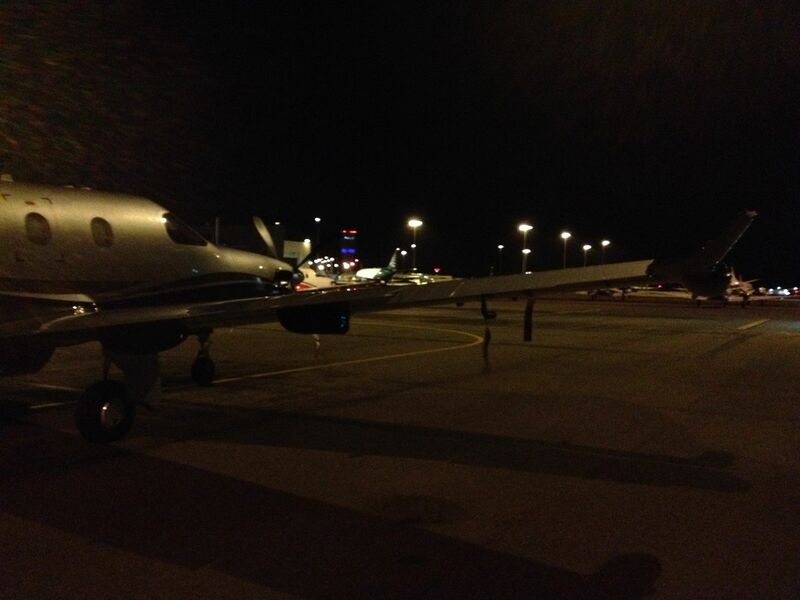 In its latest instantiation, the PC-12NG (otherwise known as the PC-12/47E), this aircraft is an S.U.V. with wings. No wonder the Royal Flying Doctor service use them extensively. Its just about the biggest aircraft that can still take off and land into small, unimproved, airstrips, and yet can carry up to 10 people (including the pilot) in pressurised, large-cabin comfort, along with ‘their stuff’, from my home in Adelaide to most places in Australia, with ease. Early in 2012 I was fortunate enough to successfully complete a significant business transaction that left me able to scratch that itch at last . 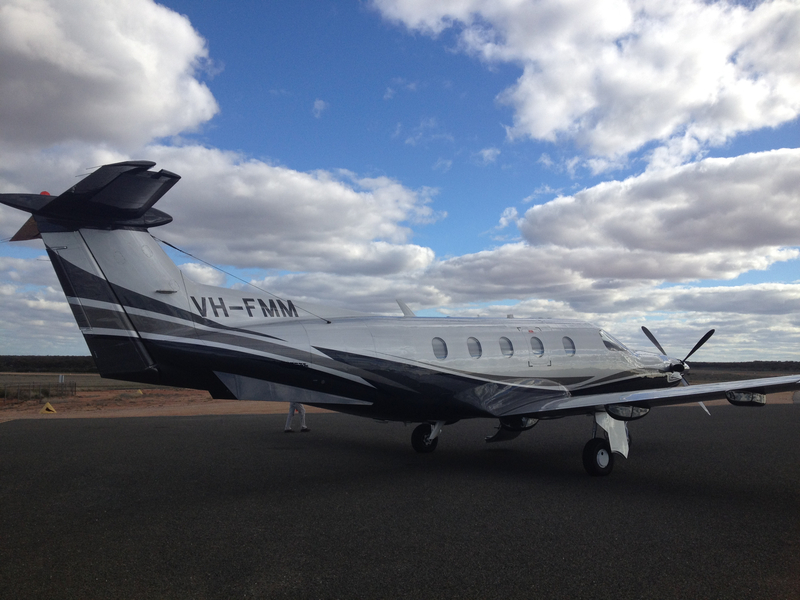 So I ordered a brand spanking new PC-12NG from the great people at the Pilatus Australia head office (in Adelaide). That shiny new aircraft, built to my specifications, inside and out, is now sitting in the Pilatus headquarters in Stans, Switzerland, waiting for me to go and get it ! In July, in preparation for bringing it home, I took some (I claim) well earned long service leave. First, I studied for and passed the theory component of an Instrument Flight Rules rating (an exam called IREX). Then, I spent two weeks (one week ground school, one week air school) to obtain a PC-12 type rating. That was, for me, an extremely intense, and ultimately very, very rewarding experience. Lots of things to learn how to do, all at once. I’d never flown out of Adelaide International Airport, flown with a turbine (PT6A-67P turboprop) engine, used an aircraft pressurisation system, dealt with IFR radio procedures. And I’d never flown something that has a maximum all up weight over a tad over 4700kg. One thing I love about the aircraft is the avionics systems. The aircraft uses a Honeywell Apex glass cockpit with ‘automatic everything’. My Cirrus had a great Garmin G1000 two screen system. 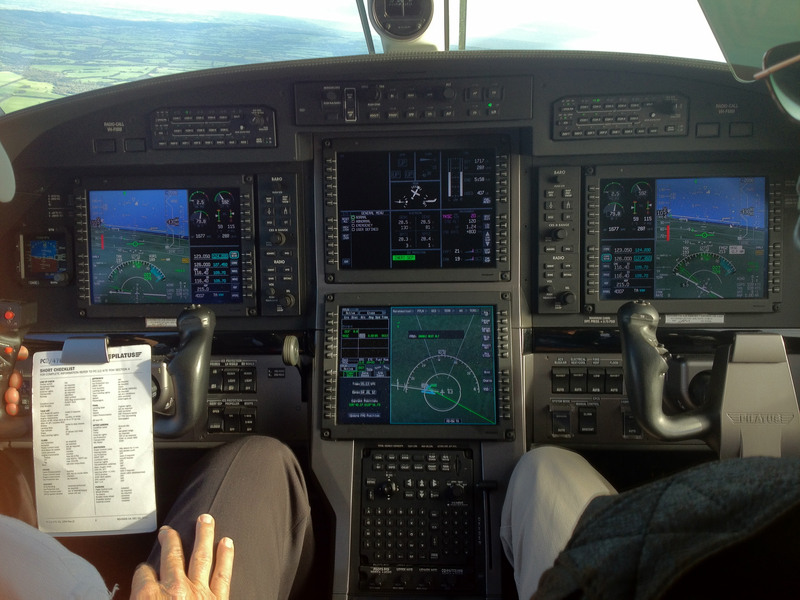 But the PC-12NG really does take glass cockpits to another level. I got through it, and I think mostly by the application of the old 7 P’s principle. My instructor and the ATC staff in and around Adelaide airport were all good natured enough to merely giggle a bit as I learned how to do it all, dealing with immersion into all those new things at once. That process, around 18 hours of flight instruction, culminated in a night flight over to Kingscote where I spent a few hours doing circuits around a moonless and inky black airfield, and then flew back to Adelaide again in good order. I don’t think I’ve felt so good about a personal achievement in ages. And its just a dream aircraft. Quite excellent ! And now, to go and get my plane. That will be a story in itself – and a story I intend to relate here as it unfolds. It must have been a good financial transaction!! Nothing like an upgrade to a PC-12. Those first moments getting airborne must have been a real buzz!! Well done Mr. Hackett. You deserve it after all that hard work over the years .